Description: Here’s a check list for her to answer. If she’s honest, she may not like the answers. But she already suspects the worst or she wouldn’t be reading this brochure. She’ll have trouble with another list in here, too. 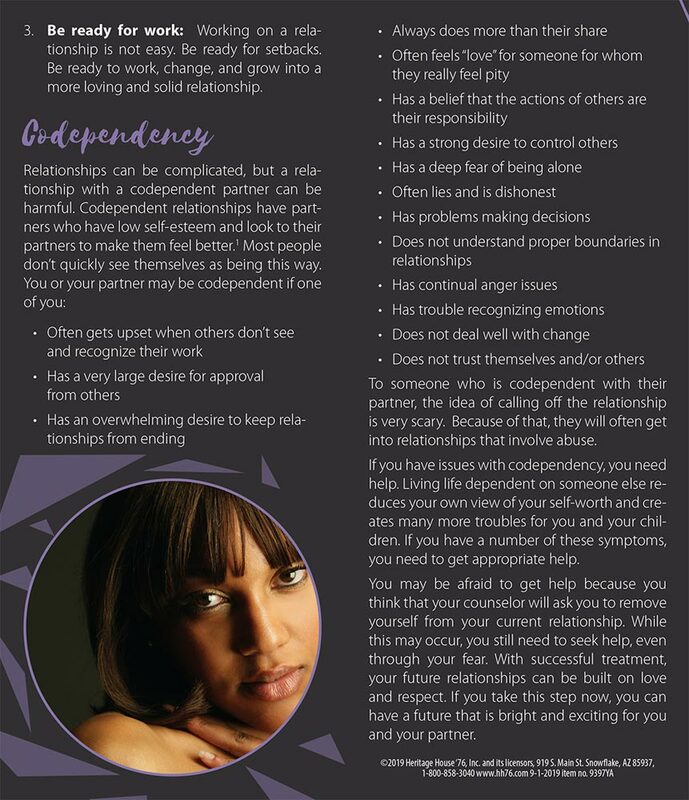 It’s a collection of traits or behaviors shared by women in co-dependent relationships. Advice? Put a hold on things and take a look at it from afar, get counseling, and, if she decides to try to save her relationship, she should be prepared to work hard. 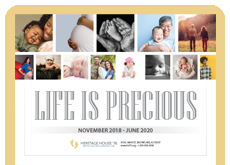 We use this brochure with many of our clients because so many of them are not married. We believe helping them to love and value themselves will go a long way towards breaking the cycle of additional children born out of wedlock. This is an excellent brochure because it makes one truly look at who they are and where their happiness comes from. We often don't look inside ourselves to see what we really need and how to make a decision that can make our lives better. One of the main messages we try to convey is the specialness and value of each patient we see. I highly recommend this brochure to do just that! 6) You Are More Than a Relationship and The Gift That is You are brochures that are so useful as we learn a little bit about our clients and can support them without their feeling judged. It is a way for clients to look internally instead of pointing their fingers at the outward cause of their pain. It is in that vulnerable time God becomes a beautiful answer for their pain and what is missing in their lives. This brochure has a helpful checklist to address the value of a person and common relationship issues. It brings out godly values without being overtly religious and leads the client to the PRC or a local church for counsel. Make sure to stamp your PRC's contact info on the back! This brochure really gets the dialog going about whether a relationship is healthy or needs help. Thank you for the resources!